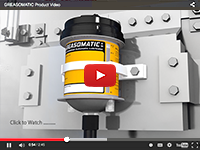 Compare the features and benefits of Greasomatic with your current automatic lubricator. You'll be impressed with how deficiencies in your current system have been overcome. 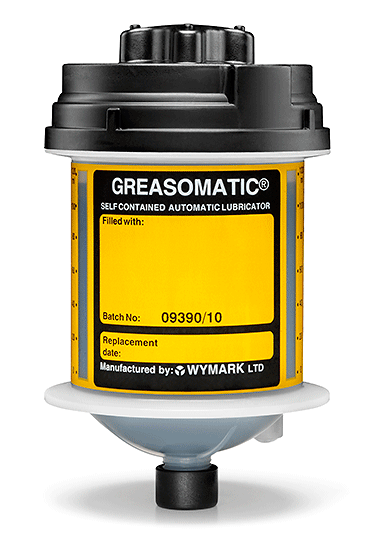 What are the differences between the Greasomatic and the disposable self-contained single-point lubricator you're now using? 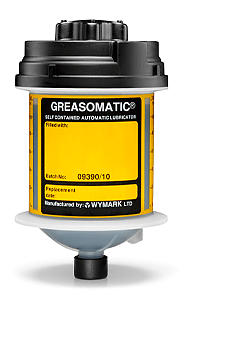 Cost - You will probably find a significant cost advantage in using the Greasomatic over the disposable lubricator you're now utilizing. Depending on your current costs this could be in the area of a 15 to 20% cost reduction. Simply dial the time setting to select the rate of lubricant ejection and unit life. No more activating screws to buy (and lose). No more special wrenches to fiddle with and misplace. 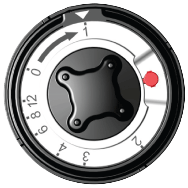 Tamperproof - Once you have selected the desired discharge rate on the selector dial and activated the lubricator its output setting cannot be change by the casual passer-by. A visual indicator lets you know, at any time, the volume of lubricant remaining in the unit. How many half-empty lubricators have you thrown away because you weren't certain if they contained lubricant? 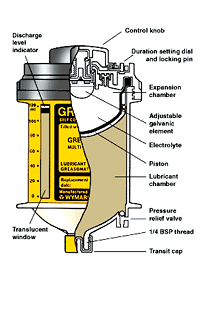 Blocked lines or fittings - With your current lubricator do you know if grease is actually being ejected into the bearing or is the lubricator simply building pressure which will discharge the lubricant in a pile when you do a scheduled change-out? 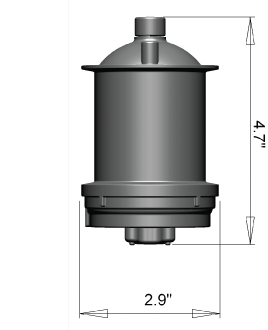 Greasomatic has a unique pressure relief valve that provides a visual indication that a blockage is preventing lubricant from flowing to the bearing. This permits correction of the problem before damage to your machinery occurs. Safety - Electrical and thermal energy is not present in the Greasomatic system. Its power is derived from a chemical reaction. Rust and corrosion proof construction, eliminates this common problem, even in the harshest environments. This is an extremely important feature in the Food Processing Industry. Also, in Water and Waste Water Treatment facilities and chemical plants with corrosive atmospheres. 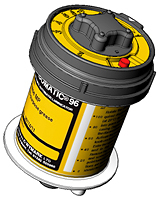 Disposal - No disposal issues with spent lubricators due to batteries or harmful chemicals contained in the lubricator. Labeling that clearly identifies the lubricant contained in the units so that at change-out time there will be no possibility of mixing lubricants. Mixing incompatible lubricants can create undesirable consequences. The label also provides clear reference to your source for obtaining a replacement supply of product. 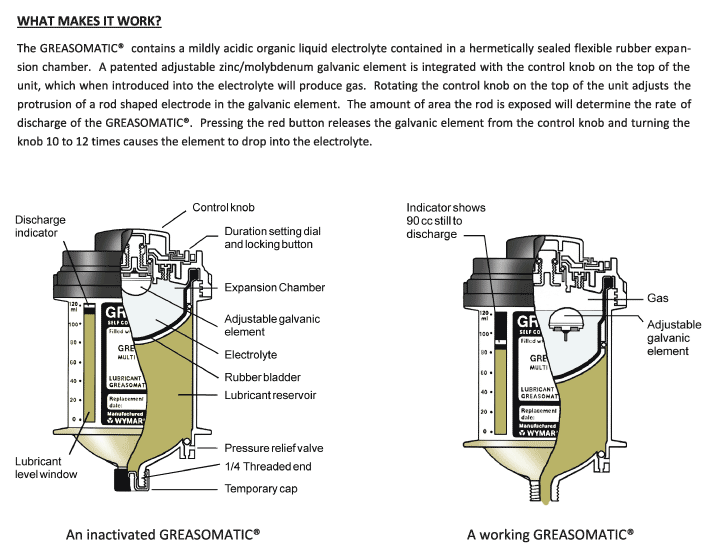 For additional Greasomatic installation and technical specifications, please visit the Support page. Click image for a description.